The Road of Empires is over and the fundraising completed. However life goes on for all the children you have helped through your generous donations. We hope your contributions will make their daily lives a bit better. Please find below some explanations on each of the projects you have kindly financed. We deeply believe in the cause of children, whose protection is our most human and urgent duty and whose future will change tomorrow's world. Thanks again to all of you. 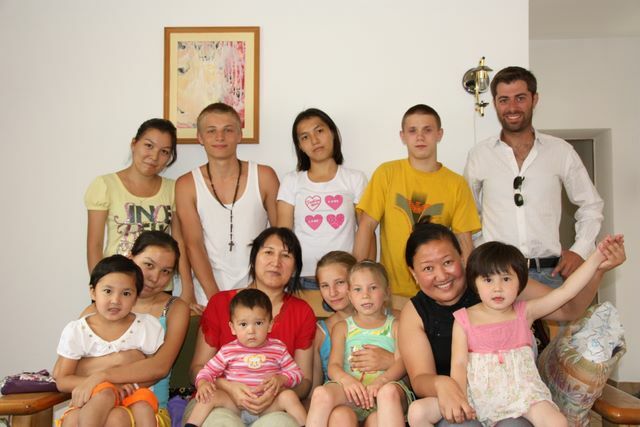 During our trip we visited two SOS Children Villages in Almaty and Ulaan Baatar and we have been convinced by the professionalism of the Village managers and the devotion of each adoptive mother. The basic principle of SOS Children Villages is as natural as it is efficient. The main idea is to re-build the nuclear family as a place of love and development for the children. Each Village has approximately 12 families led by 12 SOS Mums living in 12 detached houses. SOS Mums are carefully selected as they will devote their entire lifes to raise children who will almost become their own. There are between 5 and 10 children per family. They are normally between 1 and 15 years old. At the age of 15 teenagers move to a youth house where they can take advantage of help for their studies. We have been pleased to see that children seemed very happy and that they considered their SOS Mum as their real mother. They also talked about the other boys and girls living in the same house as their brothers and sisters. We could clearly feel their happiness and we have no doubt that your donations will bear even more fruits anytime soon. 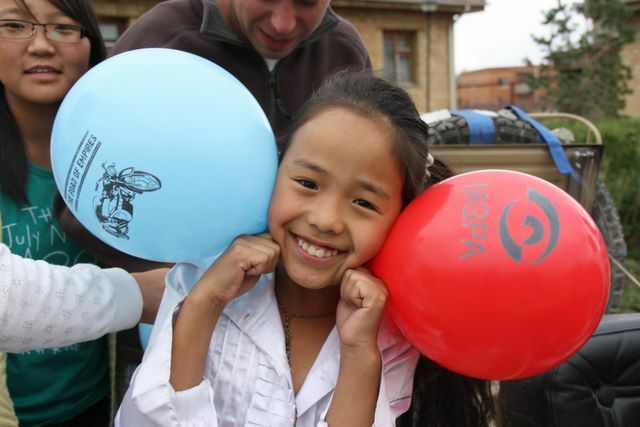 € 15 840 for the Villages of Almaty, Ulaan Baatar and Kandalaksha (Russia). Please see the donation report. Florent went to Guatemala in October in order to visit Hermano Pedro School and get more information on how your donations will be used. 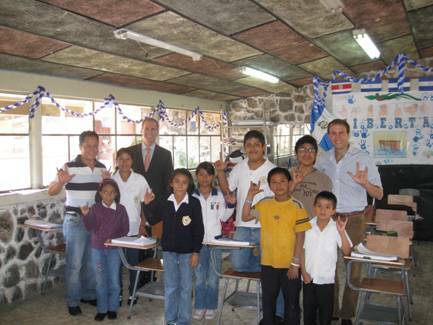 Hermano Pedro School is a school for physically and mentally handicapped children located in Guatemala. In this country being handicapped is still often considered as God’s punishment and those children are very often abandoned in the streets. The total of your donations reaches $ 8,500. This sum will be used to pay the salary of 3 specialised teachers during one year. The teachers we met in October made a very strong impression on us. We quickly realized how much children loved them and how they were working with professionalism, patience and dedication. Your donations are all the more so precious as the school is currently looking at taking more kids on board. We deeply thank our respective companies, MGPA and ED&F Man, which on top of supporting our project have given very generously to the charities.